We were saddened to hear about the forthcoming closure of the Electric Railway Museum in Coventry. The museum announced in a Facebook post that they will close to the public after their final open day on 8th October. The museum has a variety of rolling stock, but of most interest to readers of this web site will undoubtedly be the 502’s sister unit, the Wirral Class 503, which operated over the LMS/Mersey Railway electric network (now the Merseyrail Wirral Line) from 1938 until 1985. The last surviving 3-car set is now part of the collection of the Suburban Electric Railway Association. SERA also owns Liverpool Overhead Railway trailer car, no.7, one of only two LOR vehicles in existence and the only surviving example of a vehicle renovated under the railway’s modernisation scheme. With the closure of the museum, the future for SERA’s fleet is once again uncertain. SERA is exploring alternative sites, but to meet the costs of moving all their vehicles, they will require funding. A JustGiving page has been set up at justgiving.com/crowdfunding/savethetrains to try to raise £10,000 towards the costs of moving all the vehicles to new homes. Over the years, SERA and its members have been very supportive of the Friends of the 502 Group. 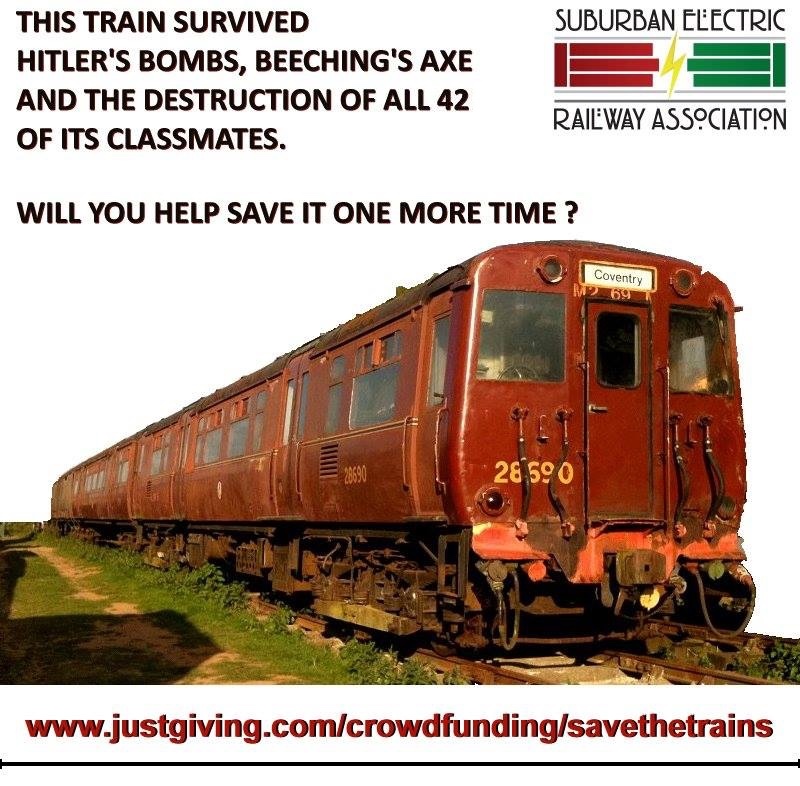 To return the favour, please help them out by donating if you can, and spreading the word on Facebook or Twitter. Meanwhile, why not take the opportunity to visit the museum in Coventry, while you still can? The museum will hold its open days as planned on 13th August, 8th/9th September and 8th October. For more information see the ERM web site at electricrailwaymuseum.co.uk. More information is also available on the Facebook pages for the Class 503 Unit and the Electric Railway Museum.